We tried a popular third-party delivery service to see how customer experience is measured. On this day, we had a craving for burritos. After placing the order, we received a standard order confirmation message. This was followed by a delivery update. 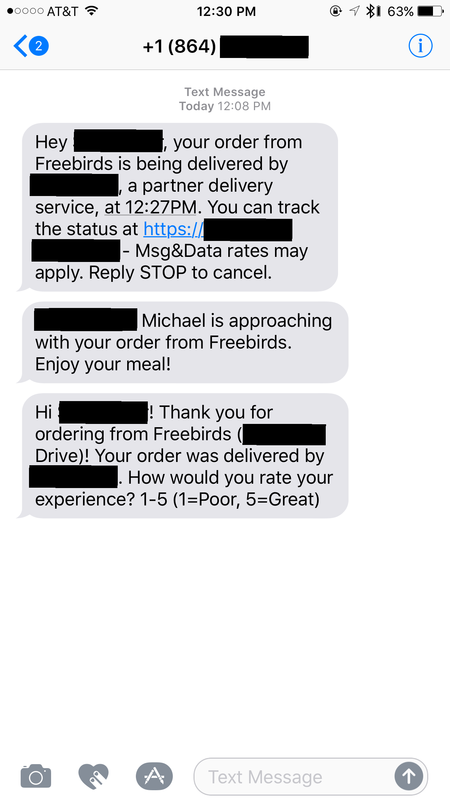 Michael delivered the food in a reasonable amount of time. The order was correct. So everything’s good, right? 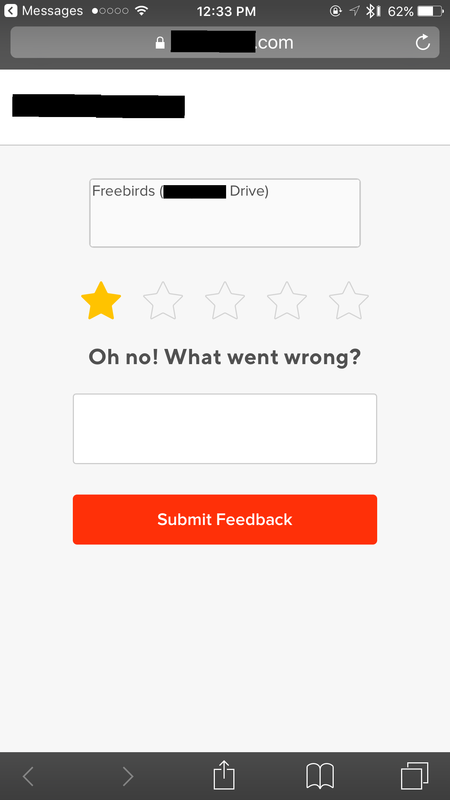 A few minutes later, we were surprised to find that the only feedback option available was a general experience rating. As an experiment, we responded with a “1” rating. We were then sent a link which led to the page shown. Just a word-dump option, with no measurable or comparable metrics. We offer an inexpensive, systematic way to determine how contracted delivery services are treating your food when it leaves the restaurant. See how your guests experience your brand when relying on third party delivery services. Contact us below for more information or cost estimation for an upcoming project. What services are you inquiring about? When would you like the program to begin? Number of locations in your organization? Copyright Customer Impact. All Rights Reserved.